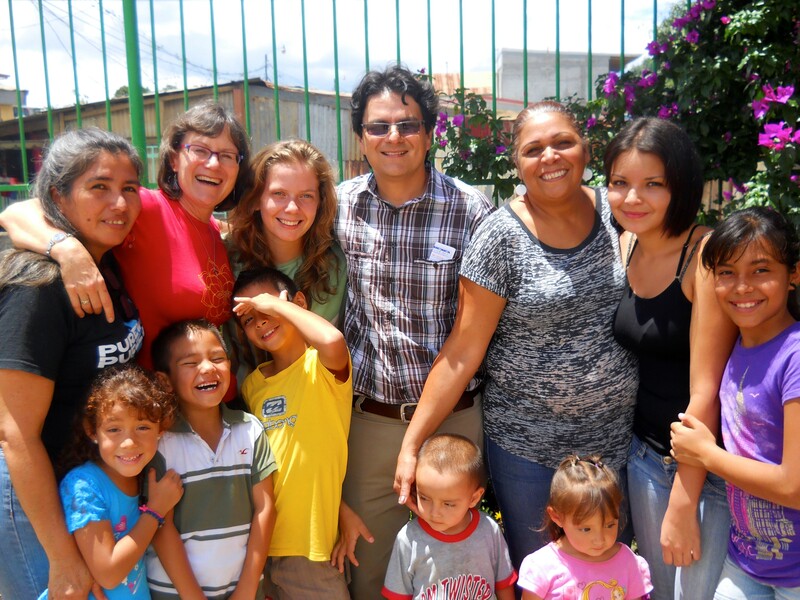 Read on for their experiences of short-term outreach! 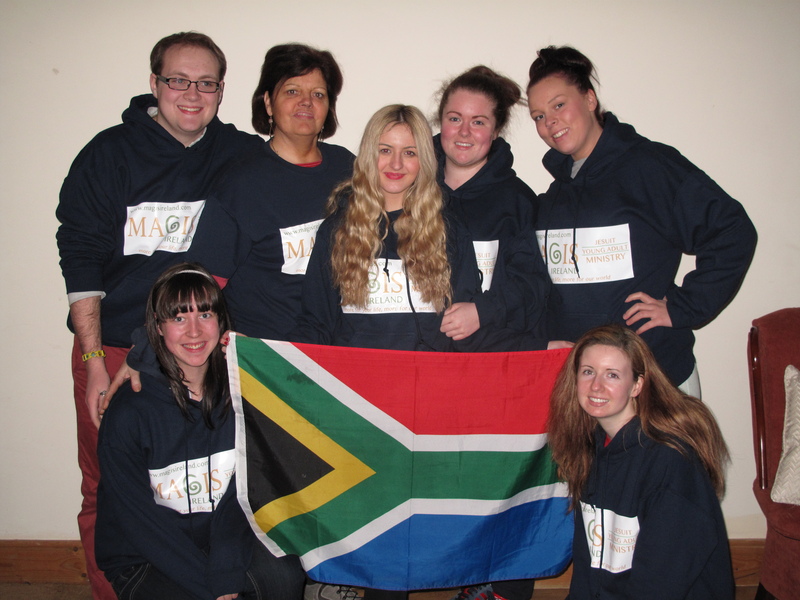 After some fundraising activities which included comedy nights, church collections, pub quizzes and support from the YWCA, we travelled to South Africa in July 2013 with Magis Ireland to Shewezer Reneke, a town in the North-west Province. Our main task was to work on re-painting a dilapidated community centre in a nearby township. Under the diligent supervision of Daniel, a local young man, conversations flowed as we worked. We learned quickly that the local people are highly resourceful and extremely motivated to do a good job. However, we had to be mindful that there was a finite supply of paint and utensils! Despite participating in orientation work before we left Ireland, which enabled us to learn about development issues such as the prevalence of HIV/AIDS, poverty and the marginalisation of black people that persists in South Africa; it was still difficult at times to grasp the concept of “finding God in all things”, as we reflected on our experiences each evening. We had many questions such as how a loving God could allow so much poverty? What we did learn was we could make small changes, not so much by materials or money, but by our attitude towards others and to treat them with dignity and respect. One difference we identified between South Africa and Ireland is the great sense of thankfulness in South Africans that is sometimes lacking in depressed and disillusioned Irish people. During our stay God granted us the serenity to accept the things we could not change, the courage to change the things we could, and the wisdom to know the difference. South Africa was a challenge but the most wonderful experience for all of us. We renovated a community centre for a group of people who welcomed us in to their community in the most heartfelt and generous way. 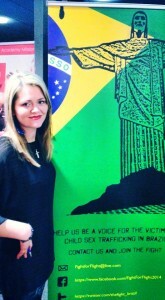 Having had a long time passion for Brazil, I attended the European Parliament’s conference on Human Trafficking and felt discouraged at the lack of action, insight and attack these governments seemed to have and felt God was demonstrating that this fight for justice was not one that should be left completely to the government bodies to fight. While studying at Belfast Bible College I travelled to Sao Paulo, Brazil with Latin Link and with the assistance of YWCA Ireland in summer 2013. I planned to do a placement, working with ‘Jeame’, a street ministry whose aim is to introduce the love of Jesus and to take teenagers off the street and off drugs. I felt God was telling me that the streets are where the root of the human trafficking problem begins and I shared this vision with Verna my mentor, as we began our work together. The very next day, while praying in the plaza in ‘Cracklandia’, we encountered another NGO group, who where in the process of setting up an after-care unit for victims of Human Trafficking. I met and attended other events with the group and felt God begin knitting our hearts together. They have invited me to come back and join their team, so I left Brazil with a very clear open door. I love that God told me to go to the streets of Sao Paulo and on my very first day on the streets, he created a divine appointment out of the 20 million people living in that huge city. I am still in awe of how faithful my God is and how important it is to be obedient and listen to His whispers, even when it looks illogical. I only pray that my testimony of the faithfulness of God may inspire other women to make their lives available for the Lord. I am so thankful for your support, without it, I would not have had the opportunity to be obedient to the Lord’s call. As a foreign language student with a placement requirement to fulfil, I decided to travel with Latin Link to Costa Rica in Central America. 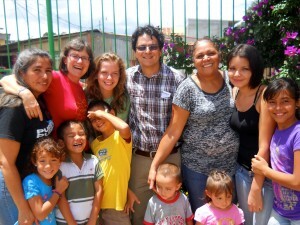 Based in San Jose I lived with a local family, which was a great way of immersing myself in the language and culture. My main role was working at ‘Biblioteca Semillitas’, a library and community development centre in Los Guido. As a ministry of Amistad International, the church I attended, it’s also a place where seeds are being sown in people’s lives through a practical demonstration of God’s love. This is achieved by using the library to promote skills development for adults and for children we focused on football, crafts, basic English and reading. The kids responded well to the activities and we used natural opportunities to share about Jesus. As soon as I stepped off the bus the kids would come running from their houses to join us at the centre, which was a real encouragement to me. During my time in Central America, I learnt to depend and trust on God more and I hope I can bring that back into my daily life at University. Being able to use my language skills in a serving context was a brilliant experience and I thank everyone who supported me financially and through prayer.